Why are Bell’s helos painted like a 90s rave? Let’s be honest, even us av geeks can sometimes admit that aircraft paint schemes can be a little boring. Apart from that time last year when All Nippon Airways painted a freakin’ R2D2 onto a 787! That was pretty cool. But other than that, it’s generally lots of beige with the odd blue or maroon stripe. Yawn. At least one manufacturer, however, appears to be bucking that trend. Helicopter maker Bell has given its new 505 and 525 aircraft a fresh lick of paint that looks like it’s come right out of a 1990s rave. Fluorescent yellows, oranges, purples – all that’s needed is a backing soundtrack of Underworld’s Born Slippy and some glow sticks. So why did Bell take off the reins and let the paint department at its Amarillo factory go crazy? We recently spoke to Larry Thimmesch, one of the top execs at Bell’s commercial programmes, and who’s responsible for the 525 project, and he gave us the real reason for the lively liveries. ‘We have a very high level of focus on safety at Bell and one of the requirements for our initial development aircraft is that they are brightly painted,’ he explained to Quill. That’s the reason that Bell’s second 525 prototype has an interesting, and more complex, blue and white paint scheme. Thimmesch told Quill that the paint team at Amarillo is one of the best in the world – they even painted the MV-22B Ospreys in the unmistakable dark green livery used by Marine Helicopter Squadron One (HMX-1). ‘They are showing their capability and their prowess in painting commercial aircraft,’ said Thimmesch. We asked Bell what the next colour will be for third 525 prototype, bright pink perhaps? 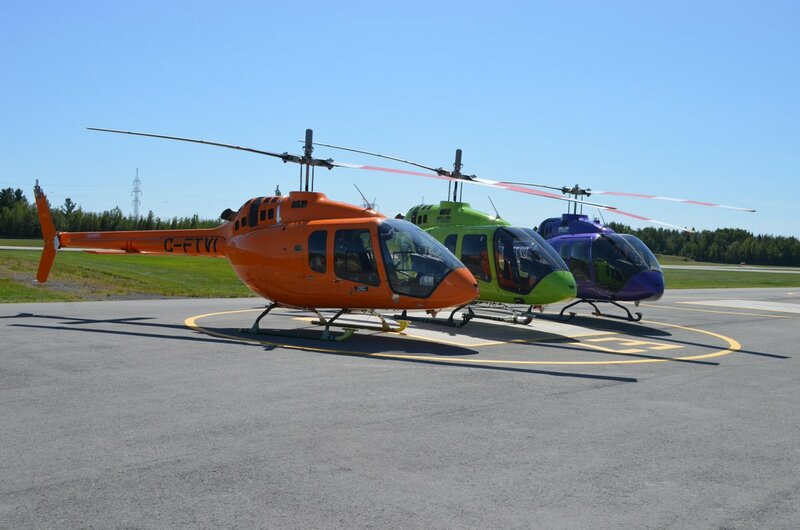 Maybe other helicopter makers will experiment with bright colours and fancy schemes in the future? Let’s hope so.